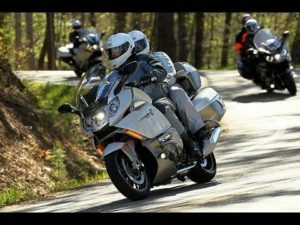 Join your fellow Gold Coast Beemers for a week of riding the spectacular mountain roads of Western North Carolina. Our meet-up location and base of operations will be the Maggie Valley Inn, where they have blocked fifteen rooms for our event. You are free to stay for a few days or the entire week and because it’s a meet-up event, you can ride or trailer up taking your own desired route. We’ll have rides every day and fun every night, so check out the details below and make plans to join us for a great week of riding in North Carolina. Reserve Room by calling 866-926-0201. State you are with Gold Coast Beemers group. You will need to provide a deposit of one night’s stay, state the dates you will be there (you do not have to stay all seven days) and room type.